The Bouddi Society began life as the Killcare Hardys Bay Progress Association. The Progress Association left development issues to other groups to focus on creative cultural activities, formally becoming ‘The Bouddi Society’ in 2001. Annette Wilson was the first President and editor of the newsletter and subsequently was given life membership for her very worthwhile endeavours. Jill Baxter and David Dufty were also made life members. Phil Donnelly’s appointment as President of the Bouddi Society was announced in April, 2004. He has retained the position up to the present. 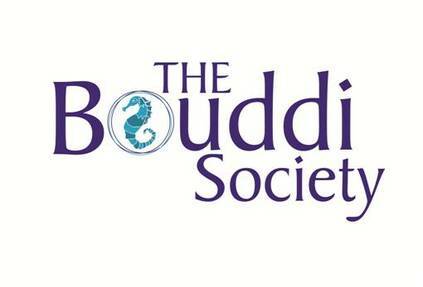 The Bouddi Society is a community group which organises events and publications to raise money for local charities on the NSW Central Coast and to provide the opportunity for the community to join together for artistic, musical and other cultural occasions. We emphasise creative activity in the arts as well as our environmental, historical and communal heritage that helps enrich our awareness of the beautiful place in which we live and 'celebrates time, place and community’. The Bouddi Society administers the Bouddi Foundation for the Arts. The Bouddi Foundation for the Arts is dedicated to supporting and encouraging young artists on the Central Coast of NSW Australia. It does this by raising funds from which it awards grants and scholarships to young creative people on the Central Coast. The Bouddi Foundation for the Arts relies on support from the Central Coast. Click Here to be forwarded to the Bouddi Foundation for the Arts website. Click Here to view a brochure on the Bouddi Foundation for the Arts. ​Click Here to read an interview with John Bell published in the Peninsular News on 11 July, 2016. John is patron & chair of the Bouddi Foundation for the Arts. Click Here to read the Constitution of the Bouddi Society.